Whether you need an auto glass replacement or a basic car glass repair in the Yorba Linda area of Southern California, then you should definitely take some time to pick out an established auto glass shop to help take care of your needs. Our shop has been open for business for more than 10 years and counting now, and we consistently have the best windshield replacement cost that you will find around the city. 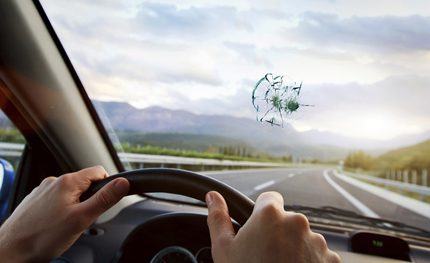 Our friendly customer service reps will always go out of their way to provide you a detailed assessment of the damage to your vehicle’s car glass. Once determined that a full glass replacement is appropriate, our staff will schedule a service call at a convenient time, date, and location for your busy schedule. Once on-site, our leading technician will conduct a final inspection of your auto’s windshield to make sure that a repair will not be sufficient. Then, he or she will proceed with making preparations to remove the damaged windshield without leaving a significant mess behind in your vehicle. We find that by paying attention to the front-end of the job, we save time wrapping up our work and minimize your frustration and minimize your overall windshield replacement cost. Once the glass is removed, our techs will then thoroughly prepare the surface of the auto frame to receive the new windshield which will help minimize the chances of the window seal leaking over time. All-in-all, it will take our technicians between three and five hours to complete installation of your new auto windshield depending on the size of the glass being installed. Once we are done, our team will give your car a thorough cleaning in the area of the work, so that you do not have to worry about any glass remnants or cardboard being left behind. We are here for you. Please give our staff a call today for a free estimate, and we look forward to serving you.